Julie Elizabeth Harman - Ms. America® 2016. The Ms. America® Pageant was held on August 26, 2015 in Brea, California where women from around the country came to compete for the title of Ms. America 2016. The Ms. America® Pageant is open to women 26 years of age and up - single, divorced or married and has no affiliation with the Miss America Pageant. 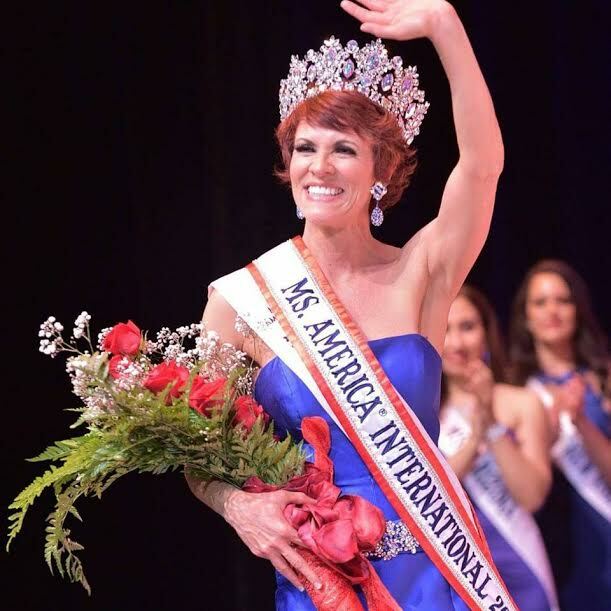 On September 6, 2015, Ms. America® Pageant CEO Susan Jeske received a letter from Amanda Wamunyima, the winner of the 2016 Ms. America® Pageant, indicating that she is relinquishing her title and resigning as 2016 Ms. America®. In her resignation letter, she stated she has discovered a medical condition which will require surgery that will leave her bed ridden “for months on end”. Ms. America® Pageant is saddened by this news and wishes Ms. Wamunyima the best in her recovery. 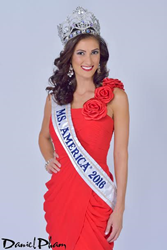 The Ms. America® Pageant is pleased to announce that Julie Elizabeth Harman, of Utah (originally named as first runner-up) has officially been named the new Ms. America® 2016. Harman’s coronation took place on September 29, 2015 at Midvale City Hall, Utah where Mayor JoAnn B. Seghini officially placed the crown on her head. Harman is a vibrant, highly diversified, self-employed entrepreneur. Her degree with International Cultural Studies and Communications has prepared her for a self-reliant lifestyle as a single mother of two vivacious young daughters. She has spent over 20 years in the image and media business as an award-winning professional photographer, model, actress, film director, speaker, talk show host, and musician. She currently serves on the board of several global nonprofits. The Ms. America® Pageant looks forward to a wonderful year with all three of the national queens, Ms. America® 2016 - Julie Elizabeth Harman (Utah); Ms. America International 2016 - E-Dee Martin (Colorado); Ms. International 2016 - Deborah Valis- Flynn (South Carolina). Ms. America International 2016, E-Dee Martin from Colorado, works to inspire others to go from helpless to helpful by reminding them we all have the power to make a difference in someone’s life “one starfish at a time”. A Colorado native, E-Dee enjoys home improvement projects, weight lifting, movie night and spending time with friends and family including her three Miniature Schnauzer fur-babies. Ms. Martin holds a Bachelor of Science degree in Organizational Management and is a Vice President with one of the largest bank-owned equipment leasing/financing companies in the United States. 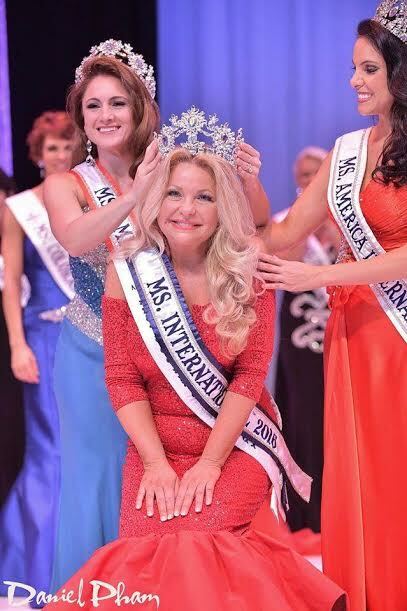 Ms. International™ 2016 went to Deborah Valis-Flynn, Ms. South Carolina. Deborah has more than 25 years of volunteerism which spans the country as a National Ambassador for the Boys and Girls Clubs of America and as a fundraiser and volunteer for several children's charities and child advocacy centers. She currently dedicates her time instructing "SMART GIRLS" group sessions and addressing women's organizations on women's health and wellness. Deborah has received more than 30 awards for her professional and civic work. The Ms. America® Pageant is open to women 26 years of age and up - single, divorced or married who are articulate, interesting, elegant and classy. Pageant competition is based on Interview, Evening Gown, Sportswear and On-Stage Question. The Ms. America® Pageant was created to “empower women across the nation,” celebrate their accomplishments, encourage involvement in community service, to use the "crown for a purpose" to make a difference. The Ms. America® Pageant is a registered Federal Trademark with the USPTO in Washington DC since February 2000 and is one of the top pageant trademarks in the world. Reg. No: 2321477. Visit http://www.MsAmericaPageant.com for more information. Connect with Ms. America® 2016 on social media Facebook Fan Page at http://www.Facebook.com/MsAmericaPageant or on http://www.Twitter.com/MsAmerica. For media inquiries, interviews, and speaking engagement, please contact Kelly Bennett of Bennett Productions Unlimited PR/Marketing/Branding Kelly@BPUnlimited.com or (949) 463-6383. The Ms. America Pageant was held on August 26, 2015 in Brea, California where women from around the country came to compete for the title of Ms. America 2016. 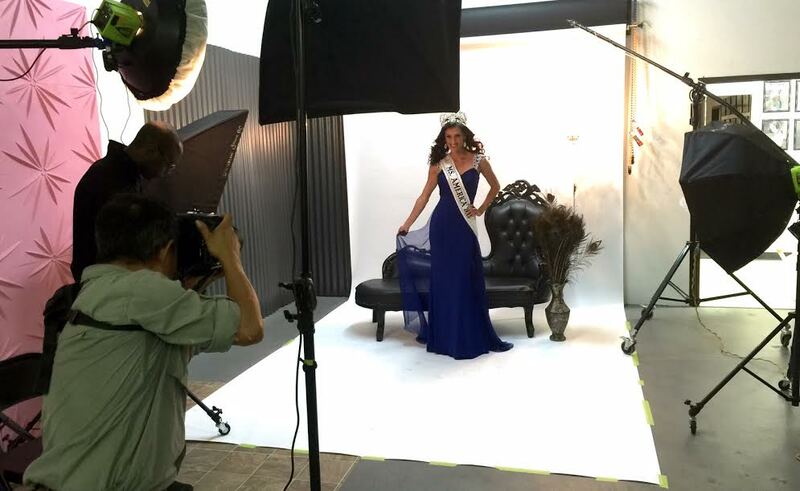 Ms. America International 2016 went to E-Dee Martin from Colorado. Ms. International™ 2016 went to Deborah Valis-Flynn, from South Carolina. 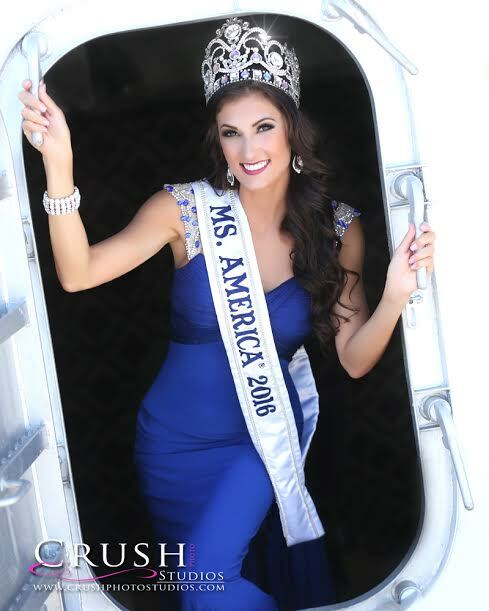 Julie Elizabeth Harman - Ms. America® 2016. 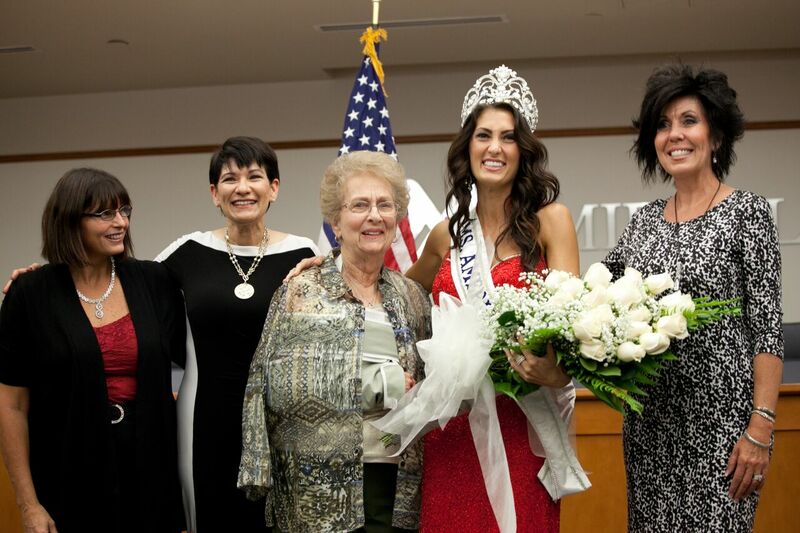 Ms. America 2016 Julie Elizabeth Harman with Tracy Halverson, Suzanne Mulet (Salt Lake County Chair for GOP), Mayor JoAnn Seghini (Midvale UT), and Leesa Price - Founder of Statue of Responsibility. Ms. America 2016 Julie Elizabeth Harman with her daughters, Evelyn Azares and Madelyn Azares. The Ms. America® Pageant is open to women 26 years of age and up - single, divorced or married and has no affiliation with the Miss America Pageant.